“I actually liked how Rory refused Logan’s proposal. I feel that the show is about two strong independent women, and that refusal captures the heart of the show. 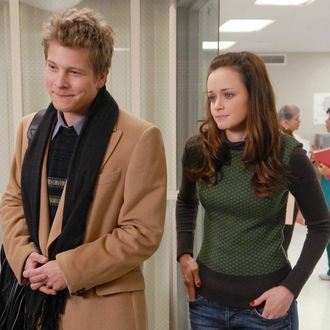 Czuchry also revealed that there were talks to revive the show, with his character returning, but that “nothing was ever set in stone.” Luckily for fans still holding out hope for Rory and Logan as their OTP, Czuchry says he’ll be attending the Gilmore Girls reunion at the ATX Television Festival in June. And while Czuchry’s feminist explanation is pretty solid, I have an even better reason Rory said no: #TeamJess.